For smaller size boat washing we highly recommend the commercial pressure washers. If you have a large yacht or just want to own a washer that is less dependable on electricity, select a power washer cart model. Do not try to rinse your hands or feet with pressure washer. It can tear your skin right off. 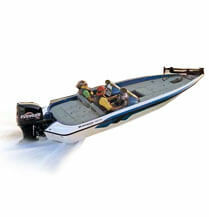 One of the primary goals for all boat owners is to preserve the good looks of their boat as long as possible. After properly learning how to clean a boat, it should be washed down once a week and/or after each use. The reason being is because you must not allow any harmful elements such as oxidation, dew, humidity, bird droppings, or salt and scum water to accumulate on the surface of your boat. Regional factors such as hard water, acid rain, ozone exposure and smog complicate the problem even more. Our pressure washer products will help you preserve the appearance of your boat. If you do not want to spend money every week to hire a boat maintenance service or a kid from your neighborhood for pressure washing boats, with just little time on your hand you can take care of your boat using our heavy-duty pressure washer. This way you will bank your money and you will feel better getting on a clean boat. By using our power washers, you will not only save time and energy but you will also overcome the hustle of dealing with water hoses, buckets, bristle brushes and cotton rags. That's why the fastest and easiest way to take care of your boat is through high pressure washing. Before you start washing, check and close all windows and hatches and make sure the water exits on the boat are working properly. There are several ways of getting the water out including the scuppers, a bailing bucket, a bilge pump or by pulling the plugs. So, make sure you know how the water will get out before you start with power washing boat. In addition, check the boat for any items that should not get wet. If you have outdoor carpet, put it in the area where it will stay dry. The best place to start with is the dock. By washing the dock first, you will eliminate bringing any dirt back onto your clean boat. Turn on your power washer and power wash boat starting with the dock. The best results are achieved when the water is hitting the surface vertically or at almost 90 E degrees. Proceed with cleaning in small sections (3-4 feet wide) and rinse accordingly. When you are done cleaning the dock you can proceed with the rest of the boat. Always start from the highest point of the boat and work your way down. This will guarantee that dirty water will not get on the surface already cleaned. Start pressure washing the boat at the top. Cover the entire area by moving the trigger gun slowly or until you are sure that all the dirt is removed. Always try to hold the pressure on the surface at a perpendicular angle. This way the highest water pressure is applied and the best performance is achieved. In case you are a very detailed person, you can choose to rinse the boat section by section because the cleaning solutions should not sit on the surface for more then 5-10 minutes. The longer the solutions stay on the surface the harder it gets to remove them because they dry out. After completing the top area continue with the deck. The same rule applies - hold the trigger gun perpendicular to the surface you are washing for the fastest and best results. If you have closed-cell foam cushions you can wash them. Make sure you turn them around so they get washed all the way around. When washing dock lines apply a lot of water with no detergents. This will eliminate dirt, salt and ocean/river scum which shortens the life of the lines. Topsides should come last since none of the other parts of the boat can be affected by the dirty water running over. If you have a lift gate, use it to bring up the boat. Allow some extra time for cleaning this surface since this is where plenty of dirt attaches to your boat. Increase the amount of detergent to enhance your cleaning process. When you are done removing all the dirt, all that's left is to dry your boat. If your boat is equipped with the waterways, pull the plugs out to get rid of the water. In case you do not have them, use a professional squeegee and/or absorber. For window cleaning use appropriate cleaning solution. Enjoy your clean boat.